Using an inspiring mix of materials to create paths, walls and raised beds will add structure and character to your outside space. True gardening is as much about the bones of a garden as its planting. The materials used from paving and aggregates to decking and decorative edging will add texture, character and structure, leading the eye through the landscape. 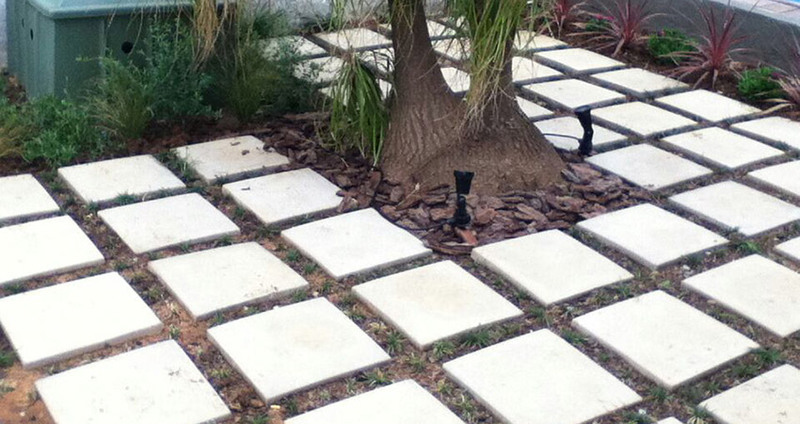 Nothing affects the character of your garden floor as much as the material you pave it with. Each choice creates a distinct look, from the old charm of recycled bricks and cobbles to the contemporary appeal of concrete. 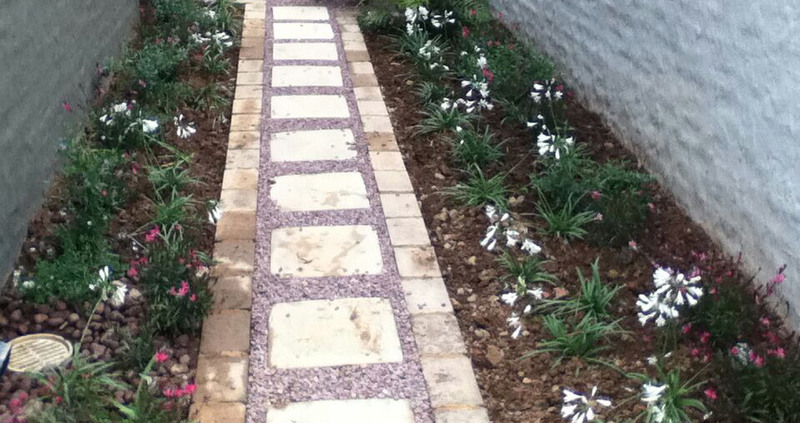 In our designs we use brick, tiles, artificial rock face, ornamental gravel and pebbles, stone, concrete pavers and poured concrete to create your garden paths, steps and small building projects. Already know what service you need for your garden?